Leave Seattle-Tacoma on United #6527 at 3:30 PM, arrive at LAX at 5:59 PM. ...arrive in Auckland 7:30 AM. United's web site does not provide a link directly to the status page of a specific flight. You can click the flight status tab on the main page, enter the flight number and date, and once the flight status page is loaded refresh it to update the status. Flight Aware provides live tracking on a map for this flight. 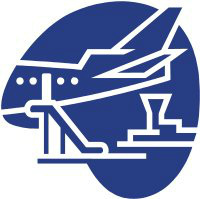 there are also links to additional flight statistics, logs, aircraft information, etc. On this leg of the journey, Flight Aware tracks the flight on radar until just south of the Equator. After that aircraft position will be estimated until the flight arrives in Auckland. Flight Aware provides updated information during this flight, and a map that shows the aircraft's estimated position until arrival. Flight Aware does not provide information about this flight.